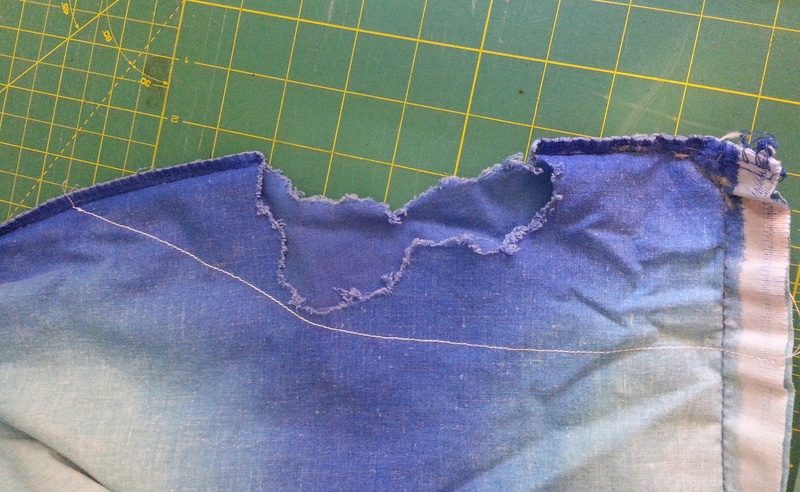 I’m still working on mending some things that Lilo the cat ate before she was taking medicine for her fabric-eating compulsion. This project is a duvet cover that she nibbled near one of the corners. 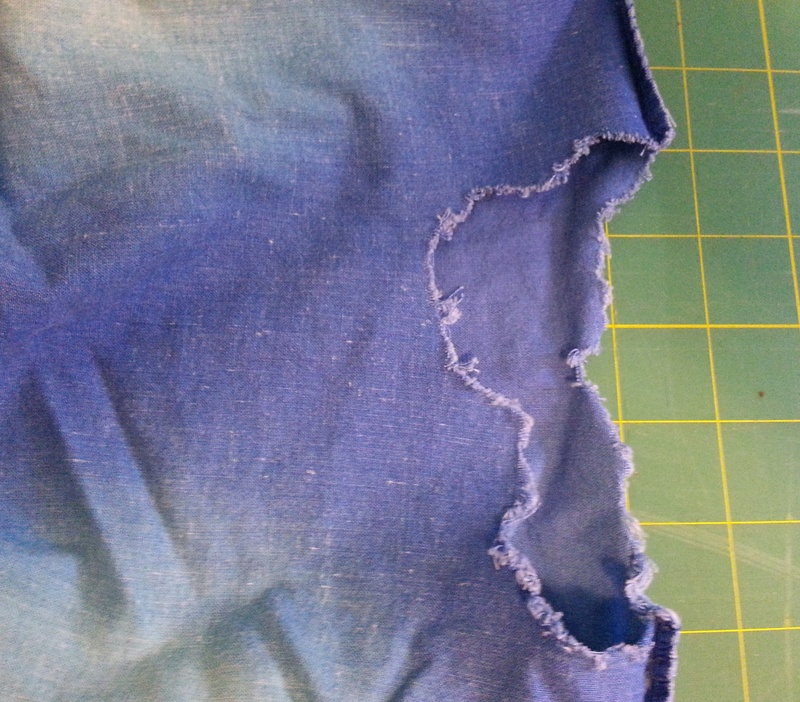 I sewed a seam around the hole, at an angle that connected the side and bottom (using white thread, below). 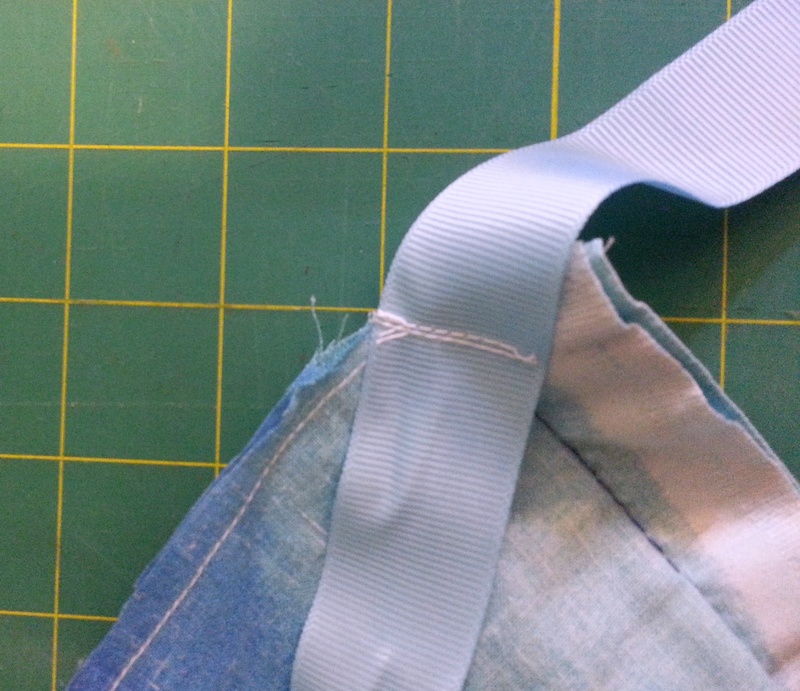 … and the other three corners, so I can tie the duvet in place to keep it from slipping the next time I use this cover. It looks like a duvet cover :-) since it's not duvet season yet, I have no live-action photos, but I will keep it in mind for when I get the duvets out.